Spray of artificial flowers, 1898–1935. This story isn’t in the Bible, though the Old Testament does allude to the episode. There’s a moral here (something about every animal having something to contribute), but I’m not interested in morals. Like the queen of Sheba herself, I’m interested in fake flowers and their equally fake foliage. 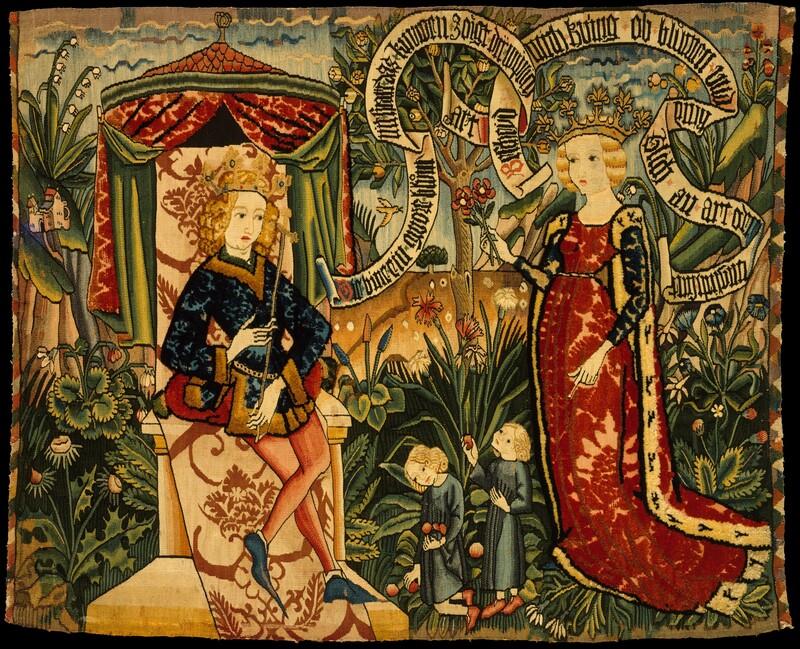 Two Riddles of the Queen of Sheba, c. 1500. We’ve been creating dupes for our favorite blooms for as long as we’ve been making art. Beauty, asserts the critic and philosopher Elaine Scarry, “brings copies of itself into being.” As soon as people awoke to the beauty of nature, they began to copy it, carving breasts into rocks and crafting cloth into petals. But the darkest chapter in the pantheon of flower making occurred ages after Sheba attempted to stump Solomon and centuries after ancient Chinese artists began creating lotus blossoms from silk scraps. Our scene opens in a Paris workshop. It was the year 1859, and Dr. Ange-Gabriel-Maxime Vernois had come to visit this poorly lit space. He walked among the tables, stopping here and there to examine the hands of the ateliers. Under their chewed-down, yellowed nails, around their ragged cuticles, up their sore-laden arms, and in the creases of their elbows he found caked the same brilliant green dust. It was arsenic-laced dye, emerald-hued and blisteringly poisonous. These flower makers were being slowly destroyed from the outside in by their contact with Scheele’s green. One London flower maker, a nineteen-year-old girl named Matilda Scheurer, died on November 20, 1861, just a few years after Dr. Vernois made the rounds in Paris. Her death was widely publicized, and accounts of her illness ranged from credible to lurid. Yet we know that her final illness was “horrible,” writes the historian Alison Matthews David. “She vomited green waters; the whites of her eyes had turned green, and she told her doctor that ‘everything she looked at was green.’ ” An autopsy confirmed that arsenic had reached her stomach, liver, and lungs—arsenic she inhaled while at work, dusting artificial leaves with green powder to make them appear more lifelike. Making artificial flowers, New York, 1912. Invented in 1775 by Carl Wilhelm Scheele, the artificial colorant was made through a process of heating sodium carbonate, adding arsenious oxide, stirring until the mixture was dissolved, and then adding a copper sulfate to the final solution. According to the color historian Victoria Finlay, Scheele invented this green “almost accidentally.” It wasn’t his first trip around the color wheel either; in the 1770s, Scheele created a bright-yellow paint from chlorine and oxygen that was later named Turner’s patent yellow after the British manufacturer who stole the patent. I can only assume Scheele was thrilled to have discovered yet another bright hue (one that he could name after himself, no less), but “there was something that troubled him,” Finlay writes. A year before the color went into production, he wrote to a friend that he thought users might want to know about its poisonous nature. “But what’s a little arsenic when you’ve got a great new color to sell?” Finlay quips. 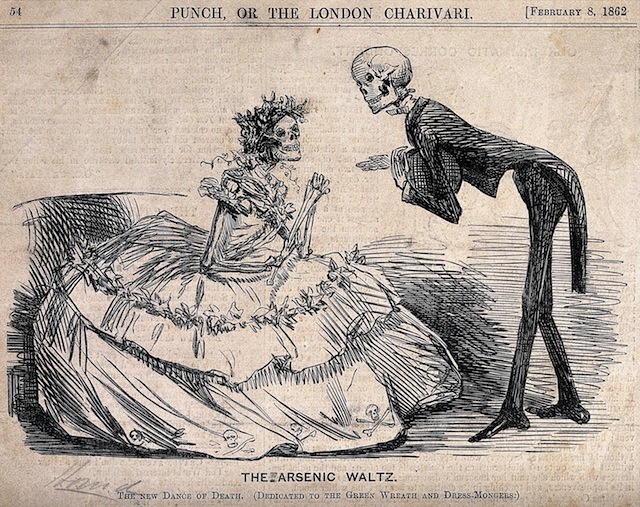 Two skeletons dressed as lady and gentleman in “The Arsenic Waltz.” Etching, 1862. Image courtesy of the Wellcome Library, London. Scheele’s green also made its way onto human bodies in the form of dresses, waistcoats, shoes, gloves, and trousers. Empress Eugenie, the most notable it girl of her time, adored green—she thought it brought out the gold in her hair, and even if this wasn’t true, the gold dust she sprinkled on her hairline certainly helped. (The empress was also partial to green jewels; she owned several Colombian emerald necklaces as well as an amazingly extra emerald-and-diamond headpiece, which is known around the auction circuit as the Donnersmarck tiara.) Typically, those who wore green were cursed only with a rash or some irritation, maybe the occasional oozing sore, if that. Green wallpaper was also wildly popular at the time, and as the Romantic movement began to gain steam, it became even more fashionable to deck your parlor or drawing room in scenes of stylized strawberry vines and blowsy-headed green tulips. The designer-artist-poet-activist-novelist William Morris (an earlier adopter of the multihyphenate lifestyle and one of the major figures of the British Arts and Crafts Movement) was highly skeptical of claims that arsenic could be dangerous. But as the heir to a copper mine (which produced arsenic dust as a byproduct of mining activity), he would be. When doctors told him that the miners were suffering from arsenic poisoning, he retorted that they “were bitten by witch fever” (i.e., were total quacks). This was slightly ironic because Morris actively campaigned for safer working conditions for textile manufacturers, and he felt strongly about using organic dyes, including cochineal, kermes, and rose madder. Yet unlike those sweet rosy hues, there wasn’t an organic dye that could replace the vivid appeal of copper-based greens, and so he continued to use both Scheele’s green and Paris green (a similar shade that was more lightfast) in his hugely popular line of wall coverings, rugs, and textiles. 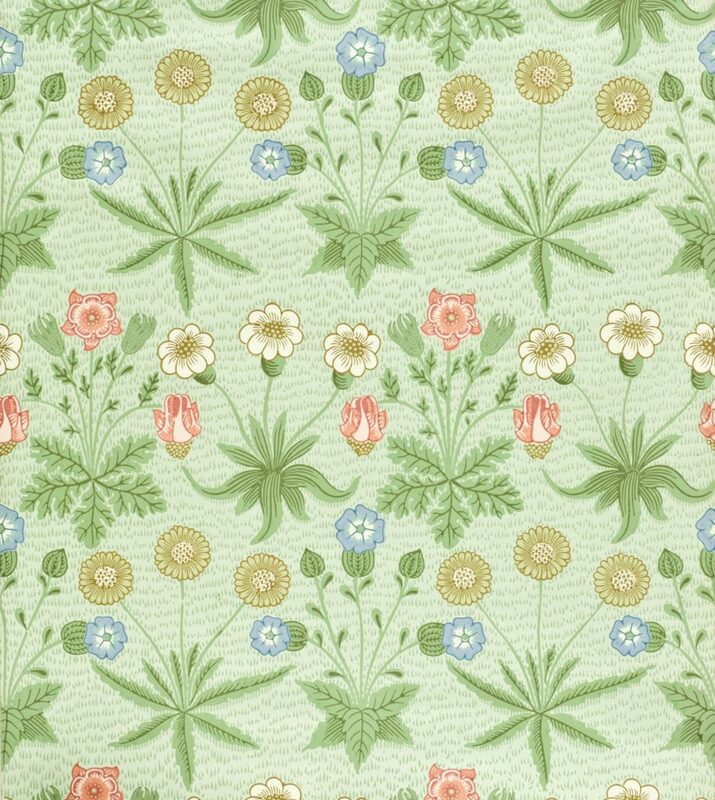 Morris & Co.’s Daisy wallpaper, 1864. Around 1870, Morris bowed to public pressure and began using arsenic-free greens in his workshops. 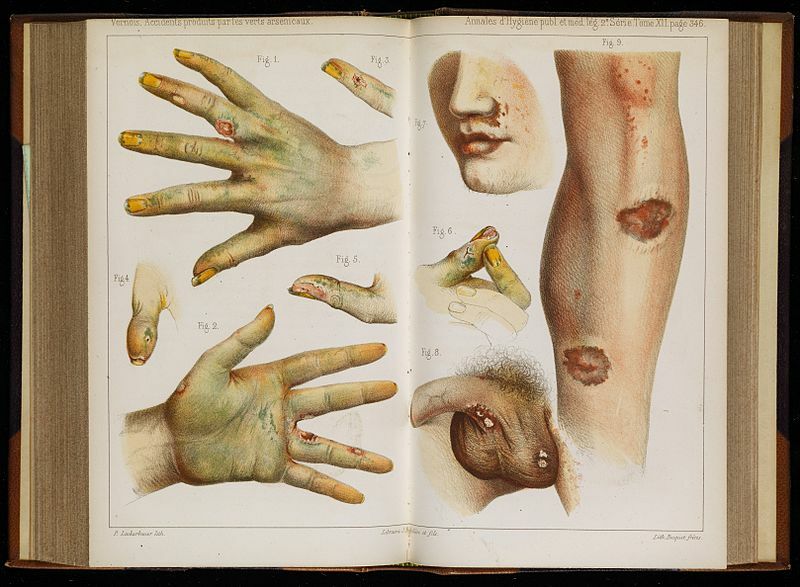 “[Morris] thought because no one was ill in his house from the arsenic wallpaper, it must be something else that was causing the sickness,” the art historian Lucinda Hawksley said in an interview about her book Bitten by Witch Fever. That no one was sick seems extraordinary, but then again, many people had green wallpaper and survived. Napoleon was famously believed to have been poisoned by his wallpaper, though modern X-ray analysis has found that there was “enough arsenic present capable of causing illness but probably not death.” Still, arsenic was everywhere. 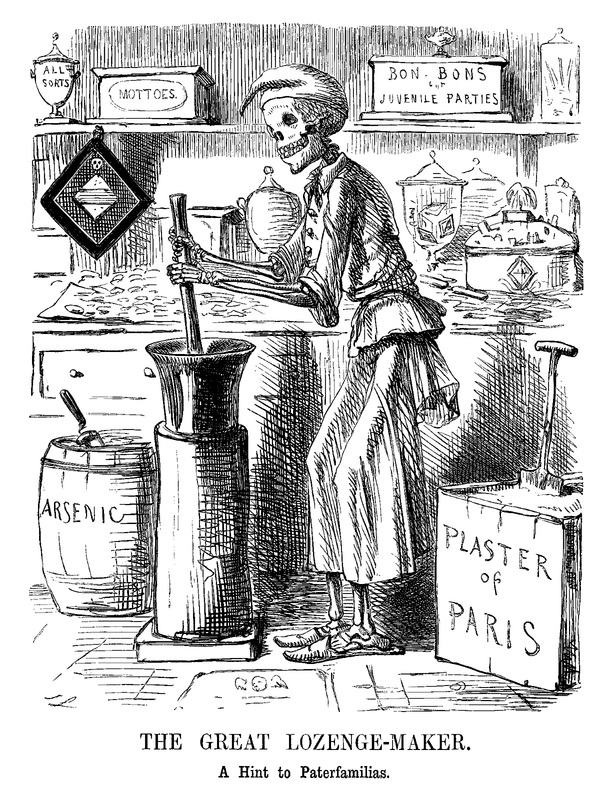 Bakers used arsenic green as food coloring, and some restaurants even added it to their drinks. In 1858, in the deadly Bradford sweets poisoning, twenty-one people perished from arsenic-laced hard candies sold by a local character known as Humbug Billy. Ten years later, UK legislators finally set limits on the acceptable amount of arsenic in food. Although there were shades of blue and yellow made through a similar process that also included arsenic, those dyes didn’t get quite the same bad rap as Scheele’s green or Paris green. “Green was a color that was always seen as the culprit, simply because it was so desirable at the time,” Hawksley said. “The Great Lozenge-Maker,” John Leech, 1858. By the time European, British, and American governments got around to regulating arsenic, the vivid green wallpaper had already fallen out of fashion. 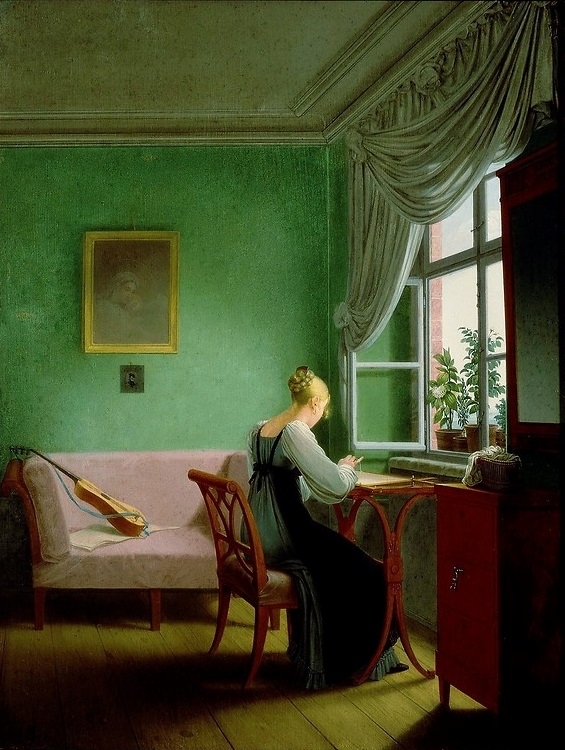 Just as avocado green was the green of 1970s America, Scheele’s green feels like a relic of Romanticism. And while women continued to wear flowers on their hats, the flower-making industry never quite recovered. Not only did the demand for fake flowers fall off, but reforms of the twentieth century made it more difficult for flower makers to turn a profit. 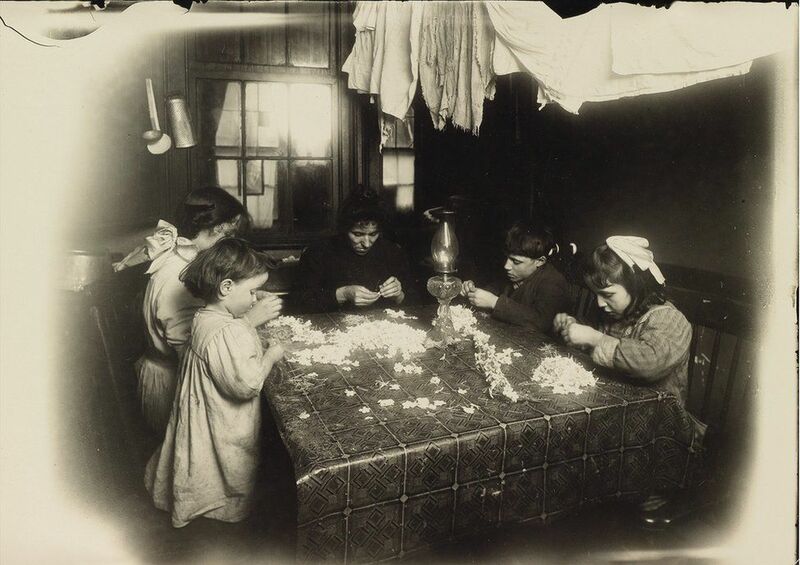 (Many of them relied on child labor to curl the petals, sew the flowers, and do other tasks that required small dexterous hands.) 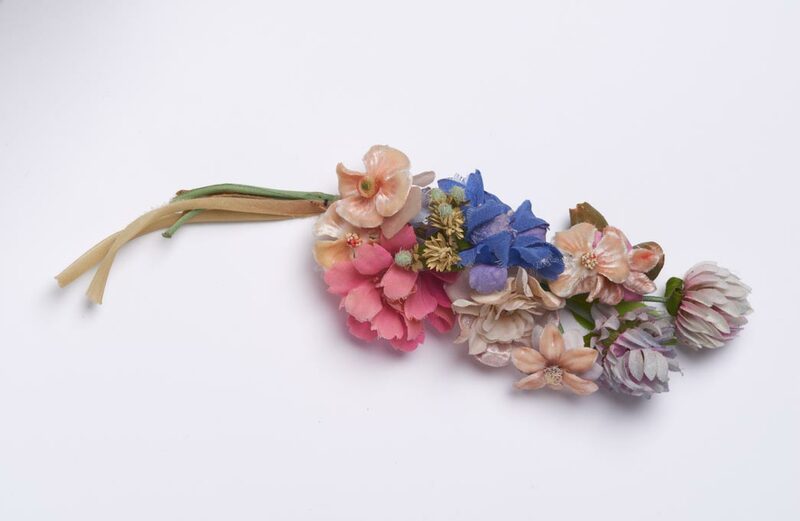 In 2016, the Museum of London introduced an exhibit titled “The Lost Art of Flower-Making.” In a promotional interview for the show, one of the exhibit’s curators, Natasha Fenner, said that following World War I, women’s clothing became “much more streamlined” and the “elaborate decorations of the late Victorian period were seen as fussy and old-fashioned.” What was once a booming industry shrunk to a niche market. The last major flower maker of London was David Bloor, who was forced out of business after cheap foreign products began to flood the market. Like lead-laced whites and diarrhea-causing yellows, Scheele’s green is no longer a chromatic necessity; we have safer green to use (though not by much; more on that later). Yet the story of Scheele’s green has captivated writers throughout the decades. It feels emblematic of our worst consumerist tendencies—our desire to hop on board with whatever trend floats our way, even when we know it’s problematic, and our willingness to turn a blind eye to suffering, to focus instead on the beautiful object set before us. Our willingness to kill ourselves to replicate nature, rather than simply engaging with it. So much has changed, and so little has changed. Flower makers have been replaced by Foxconn employees, working every day so that wealthy nations can have their expensive toys. Silk flowers are no longer considered stylish; paper flowers have stolen the crown for twenty-first-century status bloom. Women still wear flowers in their hair, but now they do it for music festivals, a space where reality is momentarily suspended and the regular rules of polite society don’t really apply. Beauty inspires us to replicate, but it also inspires a willful ignorance. Green is still a complicated color. Pantone chose Greenery as 2017’s color of the year, and it was reported that the decision was intended to help sway the public towards embracing more eco-friendly trends and policies, an idea that I find every bit as ludicrous as the reasoning behind picking Ultra Violet for 2018. (Political divisions will not be healed by more purple clothing.) Greenwashing is useless for so many reasons. Commercial greens are often made with pigment green 7, which contains chlorine and can’t be recycled or composted safely. Pigment green 36 also contains chlorine, as well as bromide atoms, and inorganic pigment green 50 is “a noxious cocktail of cobalt, titanium, nickel, and zinc oxide,” writes the design expert Alice Rawsthorne in a 2010 article for the New York Times. “Ironic, isn’t it?” the German chemist Michael Braungart adds. “The color green can never be green, because of the way it is made. It’s impossible to dye plastic green or to print green ink on paper without contaminating them.” Green has become greener, fake flowers have become ever more convincing, but our unquenchable thirst for the false purity of an aesthetic Eden remains. Read more in our Hue’s Hue series.